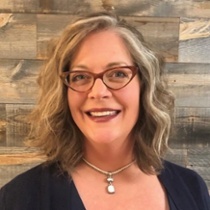 As StrataCore's Director of Client Operations & Project Management, Jean leads the Client Project Management team, running all training programs, daily operations, and offering insight to the management team on challenges our clients are facing. Jean has spent more than 20 years supporting all phases of sales and customer service including 12 years in telecommunications with XO Communications. During her tenure at XO, Jean was responsible for the Customer Service Project and Program Management Team that interfaced with product marketing, network operations, service delivery and call center management. She and her team were responsible for driving and managing a wide variety of business-critical projects. Most recently Jean spent over 3 years in the manufacturing sector supporting three highly diverse business units and participating on the senior leadership team for a manufacturing facility. Jean is a University of Washington graduate with a degree in Economics and an emphasis on international trade. She prides herself on her ability to successfully move initiatives and projects forward while serving the needs of her customers, team and company.